Bloomington and Normal, a university community located in the heart of Illinois, offers small-town hospitality and facilities more typical of metropolitan areas. Why plan a tournament in the Bloomington-Normal area? Driving south on Interstate 55, paralleling the first leg of historic Route 66, you can envision a ’57 Chevy barreling down the road under a big rural sky. About two hours southwest of Chicago, you will find two cities, Bloomington and Normal, nestled smack dab in the center of the Land of Lincoln. As you drive down Main Street, passing both Illinois State University and Illinois Wesleyan University, you will start to realize the size of the area and see how much it has to offer. Bloomington-Normal, as the home to four professional sports organizations and two NCAA schools, has no shortage of top-notch facilities every tournament planner dreams about. In between games the area also provides activities and amenities for families to enjoy and make memories to last a lifetime. Planners looking for an accessible location in the Midwest with world-class facilities and plenty for the family to do should consider the Bloomington Normal area for your next sporting event. What is there to do in Bloomington-Normal? A major component in looking for the perfect location is finding someplace that offers activities and amenities to keep your participants entertained, as many families look to these events as their annual vacation. Bloomington-Normal covers the spread on that front, offering vibrant downtown areas and a variety of things to do. The 1,200-seat Bloomington Center for the Performing Arts hosts more than 400 performances every year in the city’s historical district. For Lincoln enthusiasts, check out the Cruisin’ with Lincoln on Route 66 visitors center, which includes exhibits on the “Mother Road” and how Lincoln lived in his home state. If your guests hope to get in some shopping in between games, they can visit downtown Bloomington to check out local boutiques housed in historical buildings. The walking tour map features 17 places to eat along with 36 specialty shops. In the summer months, visitors can cool off in Normal’s Anderson Park and Aquatic Center. The outdoor water park has three pools, two waterslides, a diving board and a kiddie pool. The BNACVB provided resources that allowed us to put on a very successful race. We are looking forward to partnering with them again. What kind of facilities are available for your tournament? The home of ASA/USA Girls 10U A National Championship, the 10-field softball complex offers fields of various sizes for different age groups and abilities. Eight lighted fields make up the main complex along with two more lighted fields just south of the campus. The fields are set for girls’ fast-pitch or adult slow-pitch softball. The complex features covered dugouts, a P.A. system and scoreboards. Spectators can take in the games in the bleachers behind home plate and along the foul lines. Parking is available south of the main complex, which offers full concession and restrooms. Home of the Frontier League’s Normal CornBelters, the Corn Crib accommodates 7,000 spectators. Built in 2010, it is just off Interstate 55 in northern Normal. Spectators can sit in the stadium along the foul lines and behind home plate, or take in the game on the lawn around the outfield or in the picnic area in right field. The stadium features full concession including the Leinenkugel Lodge and Miller Lite Lounge, and also features a Little Jewels Kids Zone. The general parking lot is south of the stadium. 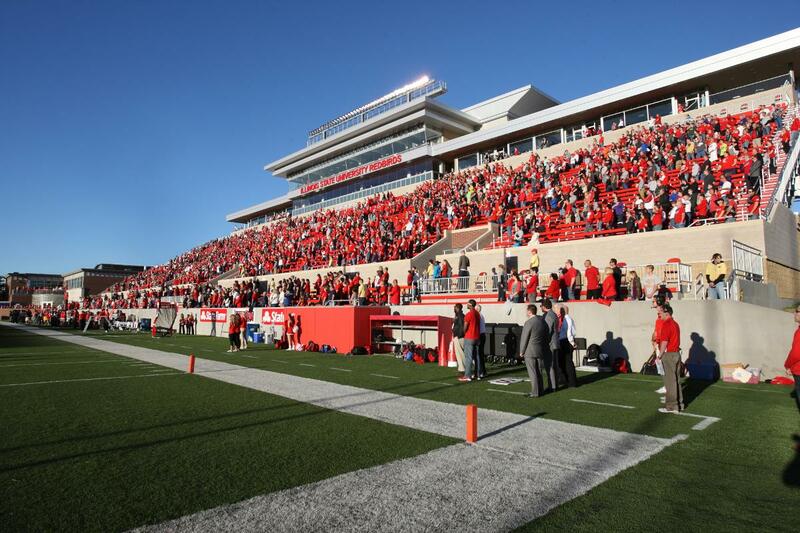 Hancock Stadium is home to the Illinois State University Redbirds Division I Football team. 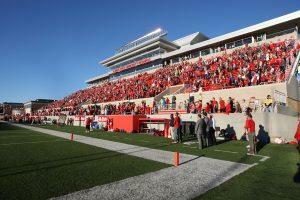 Built in 1963, it was the first collegiate football field in Illinois to feature artificial turf. The stadium seats 13,000 and offers full concession and restrooms. Spectators and players will appreciate the LED scoreboard and concert -style sound system. The field also includes the Kaufman Football Building, which houses coaches offices and the ISU football locker room. It also features a large meeting room, training room and storage for equipment. The field is located on the ISU campus on Main Street in Normal. Located on the campus of Illinois State University, Redbird Arena is the state’s second largest collegiate arena. Seating 10,500, the stadium is home to both ISU’s men’s and women’s basketball and volleyball teams. Built in 1989, the facility offers locker rooms and training facilities for players and full concession and restrooms for spectators. The roof of the building is made of Teflon, giving it a glowing look that inspires regulars to refer to it as the “crown jewel” of ISU facilities. The arena has hosted several tournaments along with NCAA play and offers parking on the east side of the building. Built in 1994, the Shirk Center is a 135,344-square-foot facility with seating for 2,680 visitors, plus a training room, locker rooms, equipment storage and laundry facilities. The center has been home to the Illinois Wesleyan University men’s and women’s basketball teams and offers full concession and restrooms for guests. It is on the campus of IWU in Bloomington just a few minutes south of Interstate 55. Parking is available on the east side of the facility and across the street to the south. The multi-sports U.S. Cellular Coliseum is home to three professional sports teams and the Illinois State University NCAA hockey team. Along with collegiate hockey, the arena is also home to the Bloomington Thunder professional hockey team, Bloomington Edge indoor football and the Bloomington Flex basketball team. Opened in 2006, the facility seats 5,600 for hockey and football, and up to 7,200 for basketball. The arena features five concession stands with a variety of flavors including Italian, Mexican and barbecue. U.S. Cellular Coliseum is located in the heart of Bloomington and offers parking in the garage and surrounding the facility. This Arnold Palmer Signature course offers 18 holes of championship golf and has hosted a number of events including the Illinois High School state tournament. Palmer himself played the course when it opened in 1997 and shot a 74. The 6,926- yard, links-style course challenges golfers of all ages and abilities. With a driving range, practice green and chipping green, the course allows for ample practice time before and after each round. The Den at Fox Creek also features a fully-stocked clubhouse, concession and beverage cart. The course is on the southwest side of Bloomington and has parking in front of the clubhouse. Located off one of the major arteries through Illinois, the Bloomington-Normal area is easily accessible. In the heart of the Midwest with several metro airports a short drive away, the area is great for players from across the country. By Car: Immediately off Interstate 55, the Bloomington-Normal area is accessible from Chicago to the north and St. Louis to the south. Travelers from the east and west can come in via Interstate 74. By Air: The Central Illinois Regional Airport on Bloomington’s east side is served by Allegiant, American and Delta airlines. Other major airports are in Chicago, Peoria and the Quad Cities.